International Food Fest this Weekend – Get Ready! To all who shall read this memo, greetings! Thanks to Brother Jose for conscripting volunteers to man the booth this Saturday. Second, Brothers Paul, Gary, Dale, and Ron did a dry-run this past Sunday. We grilled-up the sausage, and prepared for each of us a “full plate” like the one we plan to serve up at IFF. The sausage, marinara, and bread is truly a great combo, and the mutual admiration club agreed…..what an excellent idea the sausage plate turned out to be, I’m glad we thought of it! There is still time to participate. I will outline below all that has been identified, those that have offered assistance, and will seek volunteers in areas that still need to be addressed. 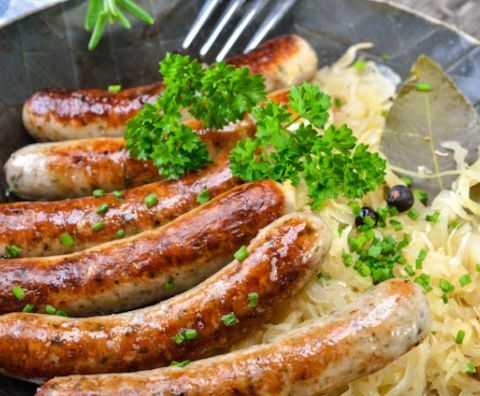 RFG will contact IFF : (Wednesday) and arrange cold storage for sausage. Second, IFF is offering load-in Friday evening. It appears this is just staging—I will get clarification. Do we want to take advantage of this? Men, Join Us for Our 15th Annual Oktoberfest! St. Bridget’s Men’s Ministry of Faith and Fellowship is celebrating their 15th Annual Oktoberfest Sunday, 2 November 2014 from 2 PM until dark. Want to spend a casual fall afternoon outside, craft-brewed beer in hand, pitching horseshoes, and watching football? Want to meet other men from St Bridget’s and other parishes? 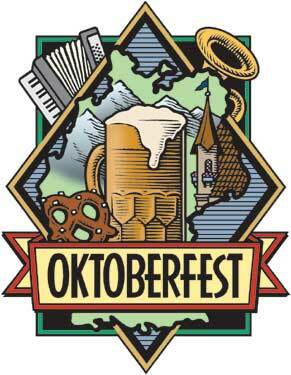 Then join us for this year’s Oktoberfest! Hosted by the St. Bridget’s Men’s Ministry, this men’s social event has been a great hit over the years, and one you’ll surely enjoy! Culturally diverse parishes and local missions are coming together to provide Richmond with an international cuisine and entertainment experience. Members from parishes and local missions are coming together for a culturally diverse celebration with the Richmond community. You’ll find international selections from Our Lady of Lourdes Filipino Festival, St. Benedicts Oktoberfest, Sacred Heart Hispanic Festival and many more. Vendors are providing food choices and entertainment from each of their great cultures. Cuisine options include full portion and sample selections. This is a 100% Pure Non-Profit festival as all vendors are non-profit organizations. 100% of every purchase made supports that unique mission or parish. There will be culturally diverse entertainment and raffles along with lots of children’s activities, as well as tours of the historic Cathedral that include the museum and crypt. Admission is FREE and there is convenient parking at the VCU deck adjacent to the Altria Theatre. 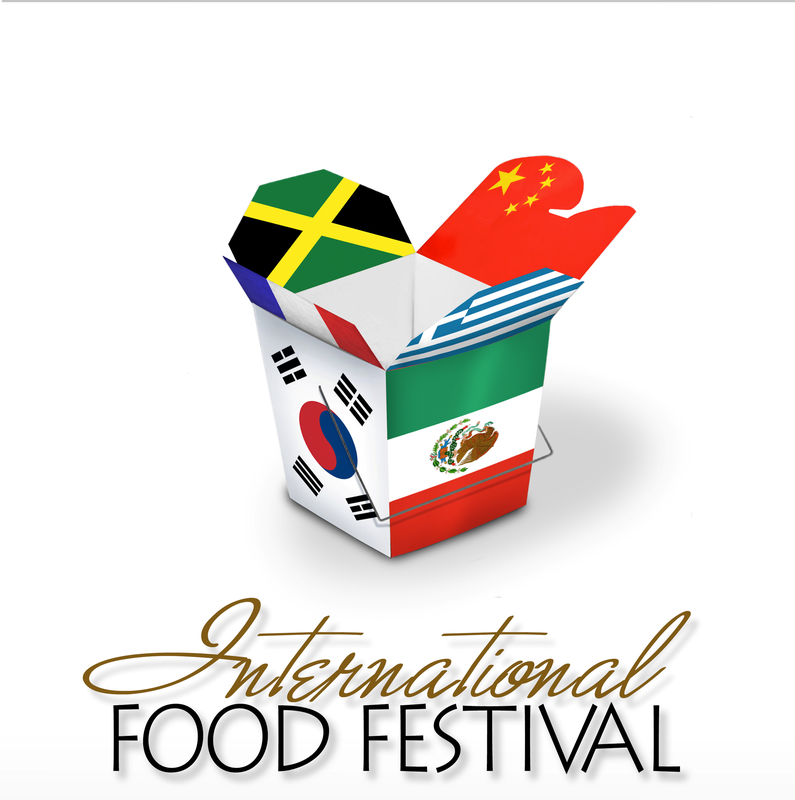 The 3rd Annual International Food Festival is scheduled for Saturday October 4th 2014 from 11AM until dusk located at Cathedral of the Sacred Heart, 800 S Cathedral Place in Richmond across from Monroe Park. You Are Invited For Another Evening Of Food, Fellowship and Football! Please come share with your Parish Knights an evening of Fraternity and Fellowship. The time is NOW to fill out your Fourth Degree Membership Document and submit it. This year, Richmond Virginia is fortunate to have the Fourth Degree Exemplification ceremony here in Midlothian near The Chesterfield Mall. A Fourth Degree Sir Knight is required to wear a tuxedo for many of our events including this exemplification. I would recommend Better Menswear for your Tuxedo purchase. They offer an excellent Knights Wardrobe Package for $170. It is time for you to reach even further with your faith. Fourth Degree Knights are dedicated to the personal development and continued honor of our brother Knights. 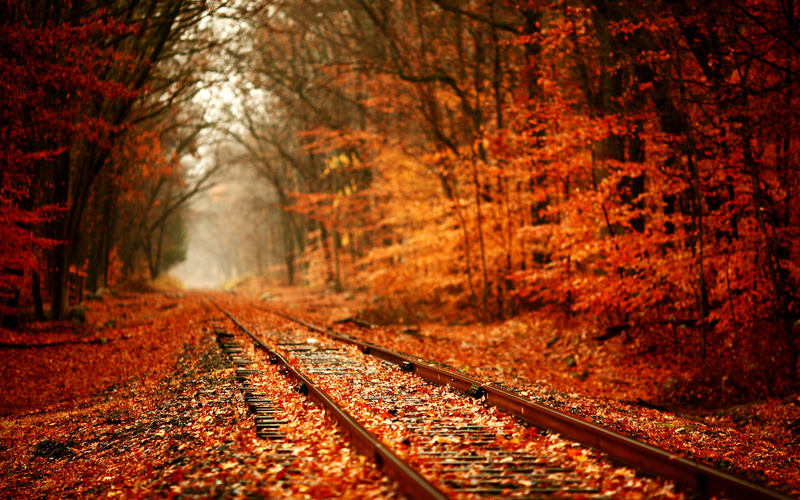 whether it is through educational programs or honoring those who are no longer with us. Fourth Degree Knights are integral to the preservation of the Order. and facilitating voter turnout on election days. recognizing that what a man stands for, defines him. Our Council 5476 will be hosting the Fourth Degree- Richmond Assembly 1165 Business Meeting this Monday evening September 22, 2014. Grand Knight Paul and I will submit your membership document to the Assembly at that time and vouch for you. Want to meet the Richmond Assembly Sir Knights? If you are available Monday evening 6:30-7:15PM you are most welcome to stop down in our St Bridget Rectory Meeting Room. Do you need an Fourth Degree Membership Document? I will be assisting with the pancake breakfast 8-10AM this Sunday and will have applications available. If you have completed the membership document, please call me or place it in our Council mailbox at the church by 4PM this Monday September 22, 2014. The presence of any and all color corp members would be appreciated to celebrate the life of our fallen Brother. Sorry for the email notice with such a quick turnaround, however I am traveling today and do not have phone numbers with me. Be back tomorrow. retirement he and Jeanette moved to Henrico in 1998. He was known for his strong work ethic and devotion to his family, church, and community. A very selfless person, he sought good in all people, and was respected by all he met. With a heavy heart we are sorry to let you know that Poppy passed peaceable into heaven last night at about 11:30. He was resting peacefully and comfortably. Thank you so much for all of your prayers and the assistance you provided to Pop, Nana, and our family. Poppy and Nana have been overwhelmed by the support given. We will provide funeral details later but believe they will be held on Saturday afternoon. At this time Nana would like to have a quiet day so if you could hold any calls until later we would greatly appreciate that. Six of the patriarchs of the Christian Churches of the Middle East will be, for the first time ever, gathered together in the United States for the next three days. They will be meeting in Washington D.C. starting tomorrow. This is important because the presence of the Christian community in the entire Middle East is now threatened, with hundreds of thousands fleeing the region, and thousands killed by the radical Islamic fighters of “ISIS” (“The Islamic State of Iraq and Syria”). Washington – The deteriorating situation facing millions of Christians and other religious minorities in the Middle East will be the focus of a bipartisan and ecumenical conference in the nation’s capital. The three-day event sponsored by In Defense of Christians (IDC) will feature speakers from all over the globe. The IDC Summit for Middle East Christians, whose theme is “Protecting and Preserving Christianity, Where It All Began”, will be the first occasion in history where six Christian Patriarchs from the Middle East will gather together in the United States. Baaklini stated: “To this end, IDC is hosting a historic global Summit for Middle East Christians, September 9-11, in Washington, D.C.
* Nina Shea, Director of the Hudson Institute’s Center for Religious Freedom. The St. Bridget Knights of Columbus – Council 5476 – invite you to join the 3rd annual International Food Festival Saturday, Oct. 4 from 11:00 to dusk at The Cathedral of the Sacred Heart. Many of the cultures that make up the Richmond Diocese will be represented and participating in this year’s event. Entertainment throughout the day will include singing, dancing, games and children activities. There will also be a $1 raffle for a variety of exciting prizes!